While Fortnite’s latest update brought the new Scoped Revolver, one of the strangest new features of the game is a gigantic orb that has been spotted in the sky. 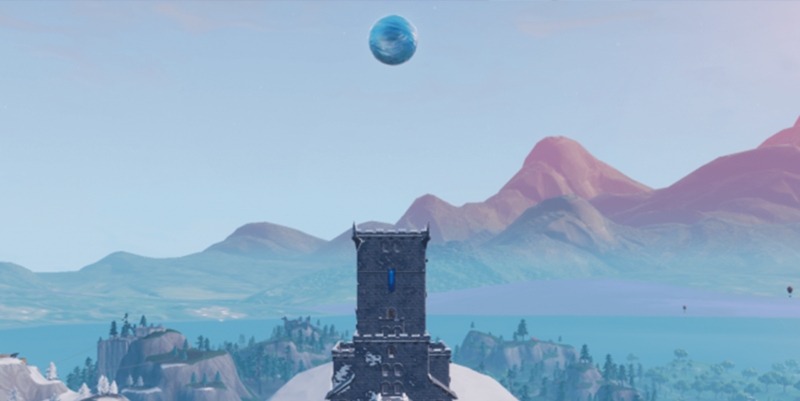 The gigantic blue sphere is currently floating above Polar Peak, with a large beam of light firing out of the bottom of the orb directly onto the location where the controversial Infinity Blade used to sit. Players who get close to it can hear what sounds like groans mixed with storm sounds, however it’s unclear what is causing the noises, and whether what is making them is actually inside the orb. Players who get too close to the orb will find their screen become covered in ice, leaving them unable to see where they’re going, or get a close look at the mysterious object. It seems likely the orb has something to do with the Ice Storm LTM that has been leaked from the game’s update files, but there are no details as to what may happen. Others believe that the orb has something to do with The Ice King, who’s storyline arc has been ongoing through Season 7. It’s possible that The Ice King could use the orb to cover the island in snow once again, or perhaps bring a more sinister enemy to the Fortnite map. 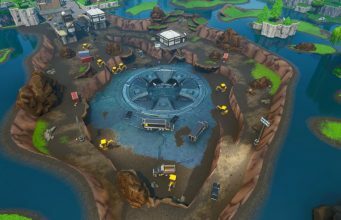 Early in December, Fortnite leakers found huge eggs frozen in ice underneath Polar Peak, with what appear to be dragons inside them. It’s possible that the sphere could be used to release the creatures on the world, when the ice melts enough for them to be revealed. What do you think the orb will do? Is it something to do with dragons? Let us know in the comments below!